Are you looking for new ways to explore Edmonton and discover all the best things about this city? 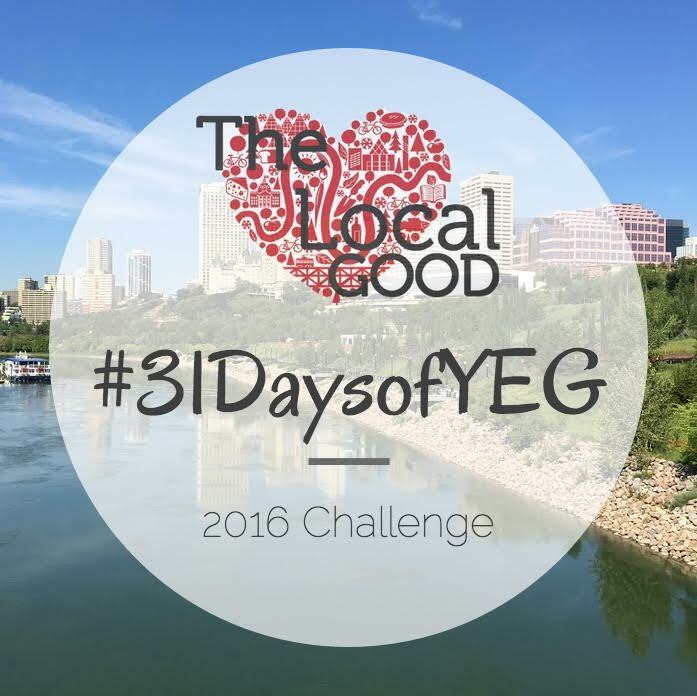 Take on the Local Good’s annual #31DaysofYEG Challenge for the month of July! Our challenge? Take some time this summer to go out of your way to engage in the city in new and different ways, and find some new favourite hidden gems. We have provided a list of 31 different ways — one for each day — for you to do just that. You can do one challenge per day, or all 31 in one day, in numerical order or at random. The full list is posted below so you can complete the challenge in a way that works for you. Share your experiences with us and with others on Twitter and/or Instagram using the hashtag #31DaysofYEG, or by posting to our Facebook community forum. Remember to reference the number of the challenge you completed to help inspire other participants. The #31DaysOfYEG challenge is back for another year! Photo illustration: Ally Whittaker & Arielle Demchuk. Go for a bike ride and stop for a picnic — bonus points if you try out a tandem bike! (You can rent one from the Edmonton Bicycle Commuters Society). Volunteer for a local organization — try a festival, a community garden or one of the many non-profits that would love your help. Learn about Edmonton’s history and heritage, and tweet your favourite new fact. People-watch on a summer patio and make new friends. Use Explore Edmonton’s guide or start with Latitude 53’s ever-popular Summer Patio Series. Edmonton was built around a river, so check out the many bridges around the city on foot or by bike — they offer unique views of the city. Discover urban beekeepers in Edmonton and learn about the importance of pollination for local food security. To get started, check out: Manasc Isaac, Fairmont Hotel MacDonald, Shaw Conference Centre and MacEwan University. You don’t have to go to an art gallery or a museum to see art in Edmonton. Get outdoors and find public art displays all around the city. Need some pointers? The City of Edmonton has a digital version of their collection, and the University of Alberta offers a self-guided public art tour of campus. Check out a festival you’ve never been to before. There are so many festivals to choose from this summer that you are bound to find one you have never attended! Bonus if you find an outdoor festival that allows you to sit back, relax and enjoy our beautiful summer weather. Eat some fruit or vegetables that you picked yourself — from your own garden or a community garden, or go pick berries at a nearby U-pick. Edmonton is built on Treaty 6 territory. Visit an indigenous site, museum or event and share if you learned something you didn’t already know about Edmonton’s history. Explore a neighbourhood you’ve never been to before and post about your favourite new discovery. Visit Churchill Square over your lunch break – there is always something going on, from festivals to lightsaber training to giant games of chess. Have an evening out in one of the many 104th Street restauratns and then see the (new and improved!) Neon Sign Museum lit up at night. Take a day trip from Edmonton. Try Elk Island, Pembina, Sylvan Lake, Jurassic Forest, or anywhere else to explore a totally different Alberta just a short distance away from the city. Share a photo from your favourite summer date night in Edmonton, whether it’s a specific event or just somewhere you like to go out in the city. Listen to some local Edmonton tunes. Tip: Edmonton’s newest music venue, The Needle, has an after work “happy hour” featuring local musicians. Move one of your typically indoor activities outside. For example, do yoga or have a picnic in a nearby park. Travel back in time with a visit to Fort Edmonton Park, John Walter Museum or the Ukrainian Cultural Heritage Village. Clean out your closet and donate some items you no longer need, give books to a Little Free Library or have a clothing swap! We have the benefit of an open, prairie sky that boasts colorful sunsets, clear starry nights (both the Telus World of Science and the U of A observatory can facilitate views) and epic thunder and lightning storms. Spend some time looking up this summer, and share a photo of your view. Pick up ingredients from a farmers’ market and make your own locally sourced dinner. Maybe Gastropost can give you an idea of what to make this week. Edmonton is an innovative city. Try out a new activity this summer! For example, you can try axe throwing or check out one of the many escape rooms around town. Explore nature — Edmonton Area Land Trust provides Nature Guides, or you can purchase a Wild Rose Ramblers Walking Guide from John Janzen Nature Centre (or borrow one from EPL). Shop local – you can find beautiful locally made goodies at Tix on the Square and Habitat etc. or check out the Made Local Society for shopping or workshops. Cool off by playing in the fountains outside the Legislature building or the pool outside City Hall. Eat some local food you’ve been meaning to try – So many new restaurants and food trucks have opened recently, plus we have great pizza in this city and it is definitely the season for a good gelato. Explore Edmonton as if you are a tourist in a new city — try going with someone who is visiting or new to Edmonton, or write your own travel-style review of the city. Forget about pub crawls, go for an art walk! 124 Street has art galleries all within walking distance to one another. Have an adventure in the River Valley! Here are just a few suggestions to get you started: go on a Segway tour, take a plant walk or kayak/canoe down the river. Visit a local brewery, take a tour and taste a variety of beers. Try: Yellowhead, Alley Kat or Situation Brewing. Alternatively, local restaurants often have cask nights in partnership with local breweries. Need more of a challenge? 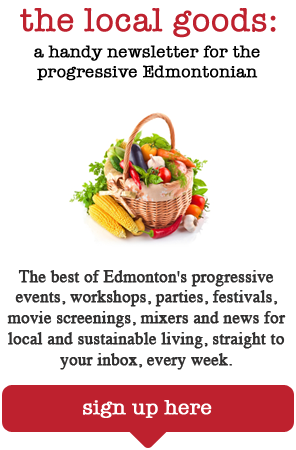 You can view our past lists from 2015 and 2014, as well as recaps of Edmontonians’ adventures, on the blog.